专辑信息：Li, Jianguo, Sha, Jingeng, McLoughlin, Stephen, Wang, Xiaoming, eds., 2019. 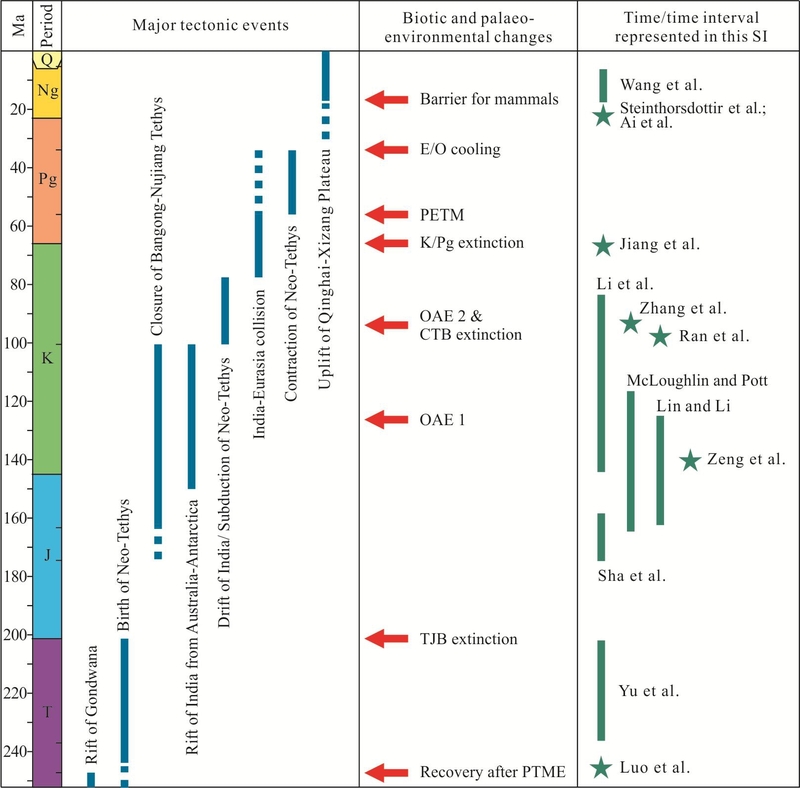 Palaeogeographic, palaeoclimatic and palaeoecologic evolution of eastern Tethys during the Mesozoic and Cenozoic. Palaeogeography, Palaeoclimatology, Palaeoecology 515.